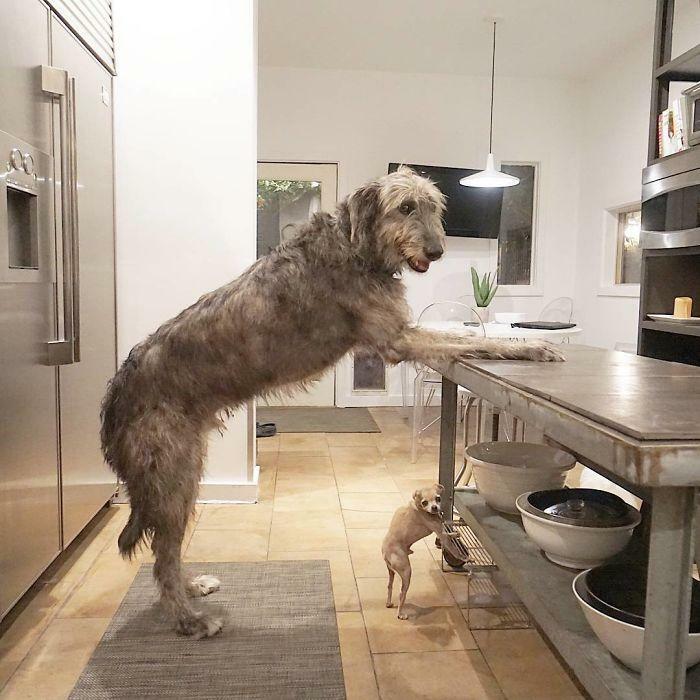 Scroll down to see the funny pictures of these Irish Wolfhounds. These Irish Wolfhounds got their name, not because of their appearance, instead, they got it for their purpose- wolf hunting with dogs. Many people called them as- hound, Irish hound war dog, wolf-dog and etc. And there are so many myths about the appearance of these creatures. But the facts are that whatever people believe in or have built myth in their mind, these creatures are so beautiful and are so delightful. 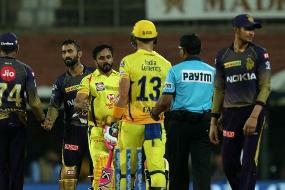 According to official the World Canine Federation standards, their desired height is 32 inches to 34 inches that is 81cm to 86cm. 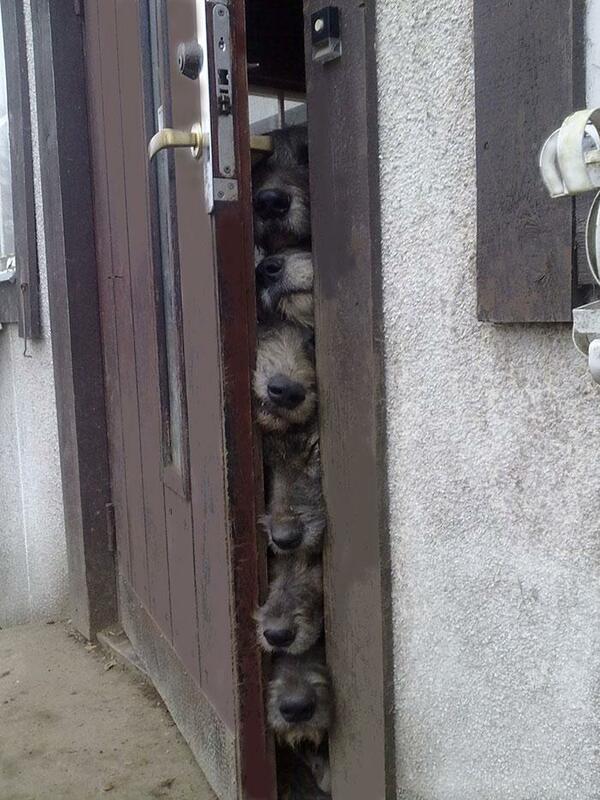 These Irish Wolfhounds can make you frighten if you are not aware of them or not familiar with them. How cute they are looking, they acting like cute kids, then their parents caught their mischievous things and they hid behind the door. 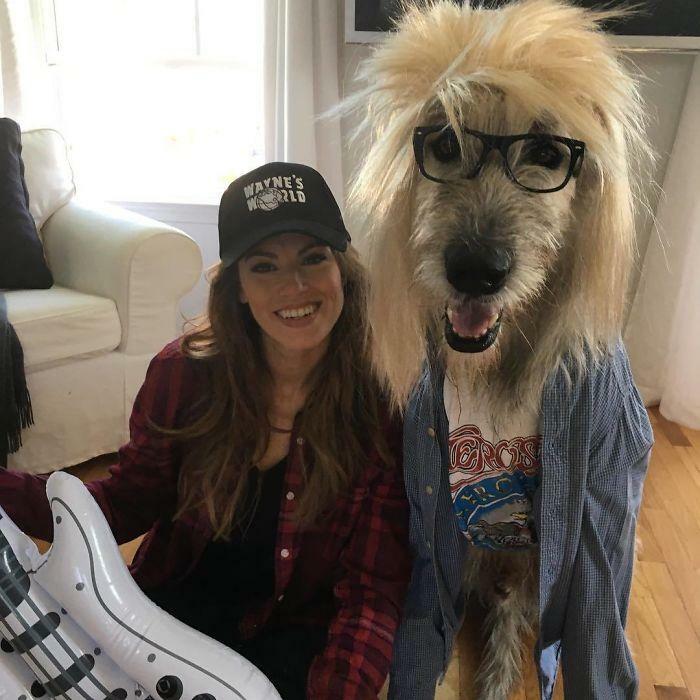 In the picture both the owner and the Irish wolfhound styled in a funny way as they are ready to play Wayne’s World Characters in Halloween. And the dog wearing glasses and a wig making him look so hilarious. 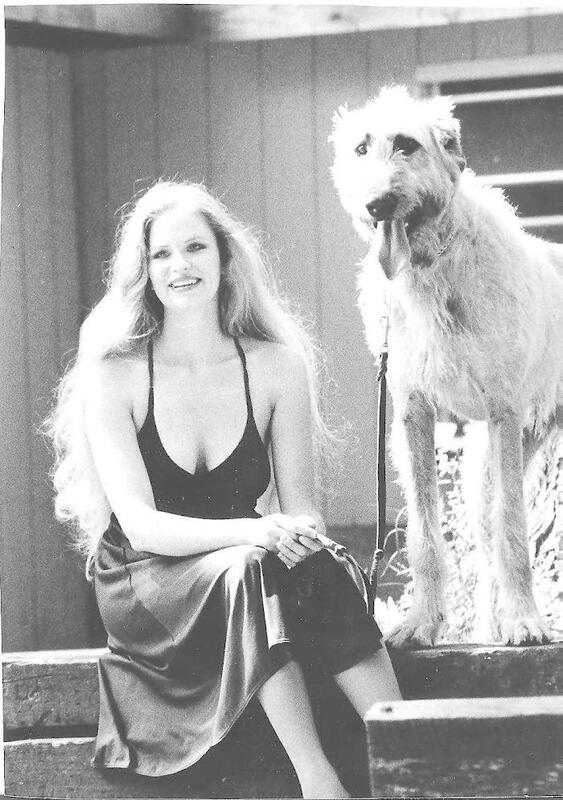 The person shared a picture in which her beautiful grandma is sitting beside her Irish wolfhound. And it says a lot about their emotions and likeness towards the dog. A big one and a little one, posing in a similar way. 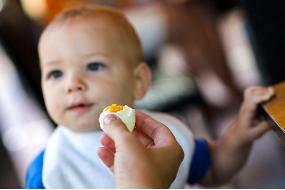 This huge fur ball and the little without any fun on the skin, enjoying their evening I guess in the kitchen. 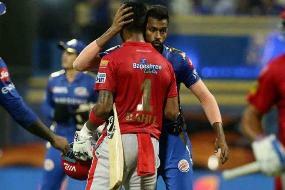 See how kind they are! 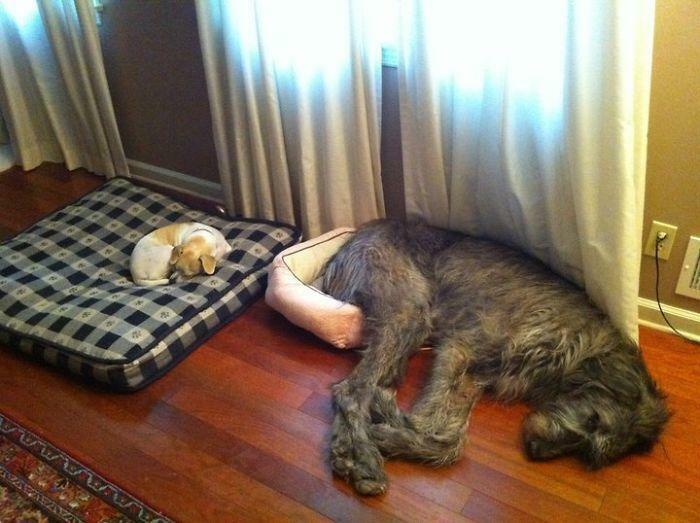 This Irish wolfhound sleeping almost on the floor and gave its bed to this little one.